People with high creative abilities think “outside the box.” If you try to teach a creative thinker how a multimedia projector works, he will already be thinking about how to build a better one. These kids are not all geniuses nor do they have everything right, but they possess a special gift: the gift of creation. That innovative spirit of exploring new boundaries and breaking the rules is what has driven great ideas and inspirational inventions for companies such as Apple, Microsoft, Google and many others throughout history. One man with an idea brought us to the invention of the light bulb, the toaster, the radio and the iPhone. It’s true that kids must follow rules. The school environment is not always conducive to creativity, so teach your child that a time will come when she is out on her own and can choose what to do and how to do it. At home, you can encourage creativity by applying these five ideas. Ask your child to come up with unique ideas or plan a family vacation. Tasks like this encourage kids to use their independent thinking skills. He must decide on details such as the distance you will travel, where you will stay, how much you should budget and which sights you will see. This will stimulate his creative mind and help him feel involved and important. Encourage creative students to become entrepreneurs. As adults, many will be, so this is valuable practice. Inspire him to coordinate and run a yard sale or start some sort of business. Many kids sell on Amazon, Etsy or eBay (with their parents help) selling things they create. Your child can conceive ideas for advertising and other strategies. This project will give your child a sense of importance and increase his skills in business. Foster her interest in technology. This pastime for many creative thinkers helps them expand on their innate tendency to create. For instance, Steve Jobs attended a few months at Harvard but dropped out because it didn’t let him create things the way he wanted to. He was the ultimate creative student who couldn’t conform to the standards of a school, and yet he built a company that is known as a leader in innovative, forward thinking. Teach him social skills. Many creative people have some trouble connecting with others. The term “moody artist” is not too far from reality. Those blessed with an abundance of creative ability forget sometimes that not everyone thinks the same way. Remind your child that it’s okay to be different, but that he should try to get along in the world the best he can. Sometimes schools stifle creativity. Teaching courses in a systematic, overly organized fashion can bore the creative student. The use of technology such as multimedia and smart devices has helped this process immensely, encouraging creative kids to apply their ideas to schoolwork and beyond. 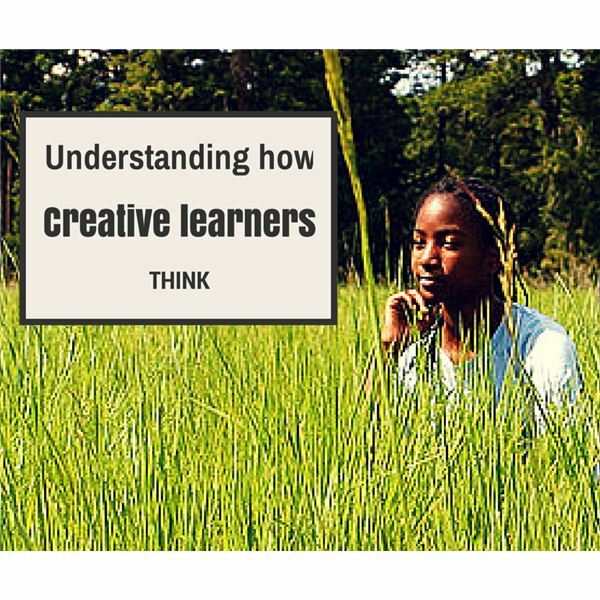 However, for the most part, school can be unavoidable in the minds of ultra-creative people who just want to run with their ideas. Patience is the key. Communicate with your child that you understand her thinking, but that she needs an education to move forward. Then she can do whatever she wants. It is important to find a balance between asking your child to conform to school expectations and allowing some freedom to break away and find his own voice. Look into gifted and talented programs in your school or seek information on magnet schools, which seek to implement creative learning methods.